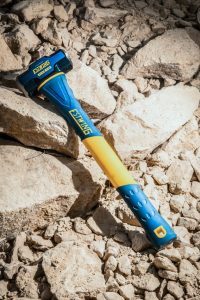 May 8, 2018 – Estwing, one of the world’s leading manufacturers of striking tools, and its new licensing partner Groz, debuted a new line of Sledge Hammers & Specialty Hammers at this year’s National Hardware Show in Las Vegas. 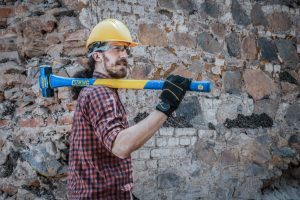 The offering will be a complete program that includes Estwing branded Sledge Hammers, Specialty Hammers, Pry Bars, Alignment Bars and Splitting Mauls. Handle types for the Hammers & Mauls include Indestructible®, Fiberglass and Hickory.